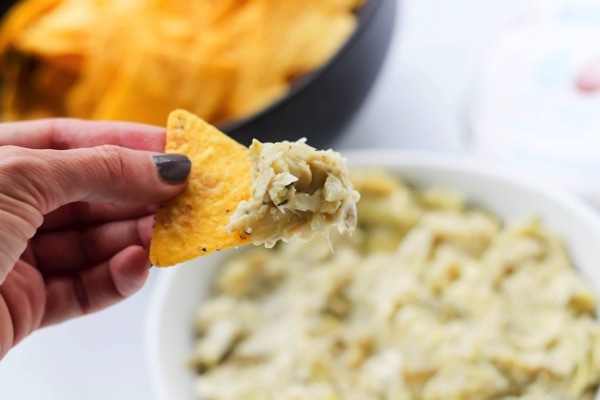 This vegan artichoke dip is totally healthy, rich, and creamy. 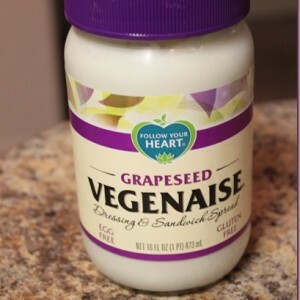 It uses vegan cream cheese for an awesome texture and is perfect to make in advance for any upcoming spring or summer dinner parties! and the ridiculous little drink markers. 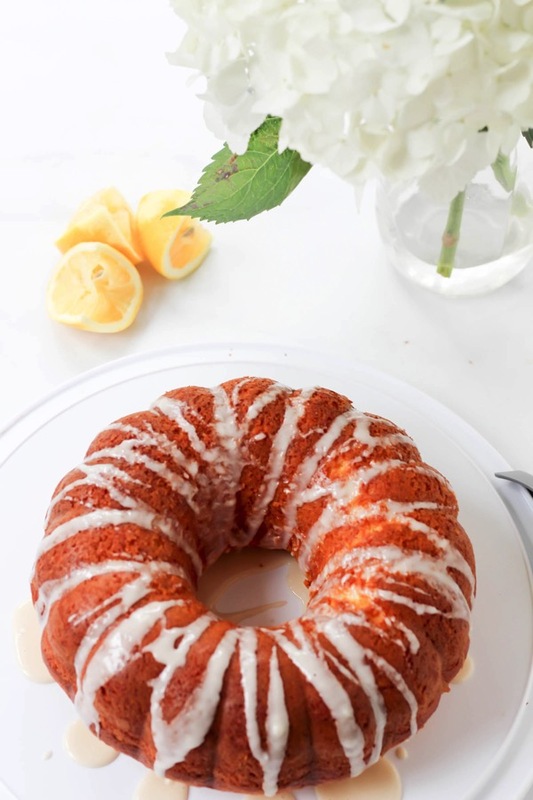 and the famous Kris Jenner lemon cake. I’ve heard Lauryn talk about this cake so often, and knew I wanted to give it a try. You guys. It was SO GOOD. And so ridiculously easy. I added a teaspoon of lemon zest to the batter, and it gave it a little extra somethin’. Definitely try it out for any upcoming holidays or get-togethers. 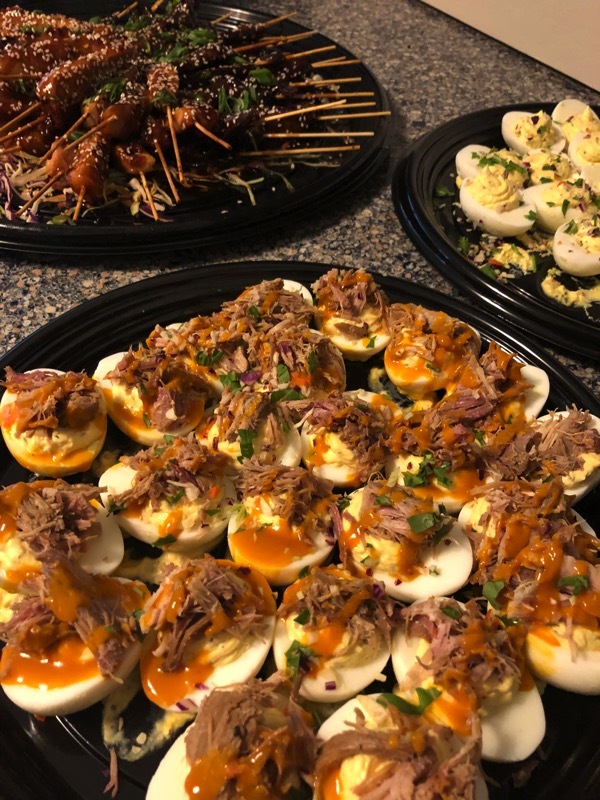 BBQ pork deviled eggs and regular deviled eggs. I made a quick chopped salad (spinach, bell pepper, zucchini) and served it with Trader Joe’s carrot miso dressing (<— it’s by the salad greens and so good). 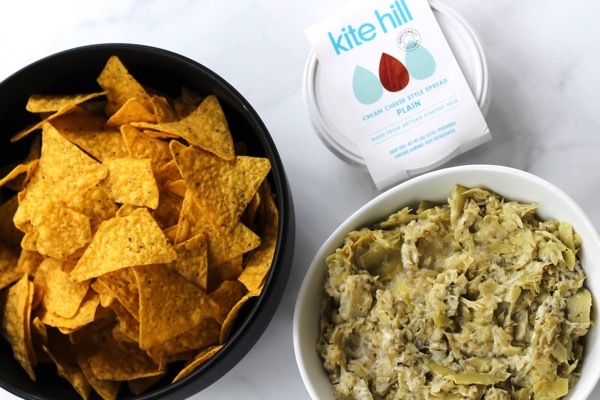 We also had this healthy and delicious vegan artichoke dip. I used Kite Hill cream cheese style spread and it was dreamy. 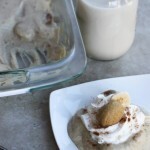 Here’s the recipe if you’d like to give it a whirl! 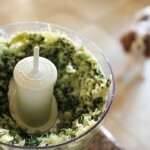 In a food processor, chop the artichokes and garlic so they still have a bit of texture, but are small enough to scoop. Add the artichokes and garlic to a round baking dish, and stir in the oil, thyme, and oregano. Cover with foil, and bake for 35-45 minutes. Remove from the oven and stir in the lemon juice. Season with salt and pepper. Stir in the vegan cream cheese of choice. 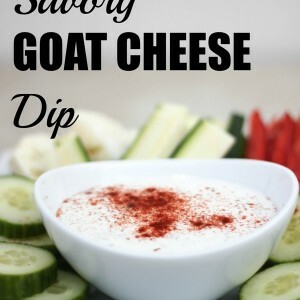 Serve with tortilla chips or pita chips! 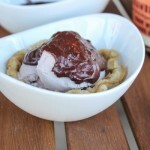 What’s your go-to dessert for get-togethers? 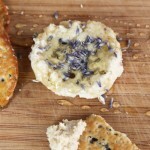 Any quick dips or spreads that you love to make? Check these out too for your next get together! All of that looks amazing!!!! 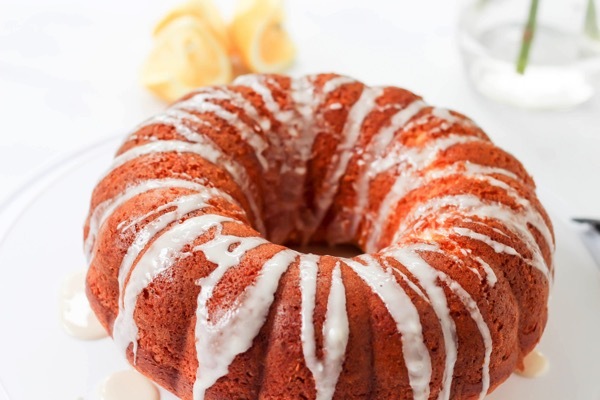 I will have to try that lemon cake,it sounds perfect for summer. Can I PLEASE be invited to one of your girly events? I will even pay for my own flight!!!! 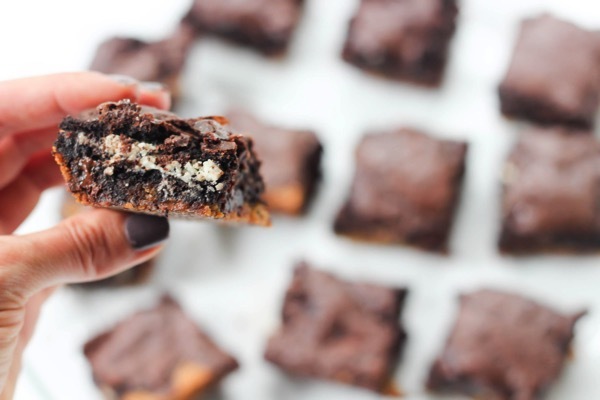 Once again, you have raised the bar with all of your delicious snacks. 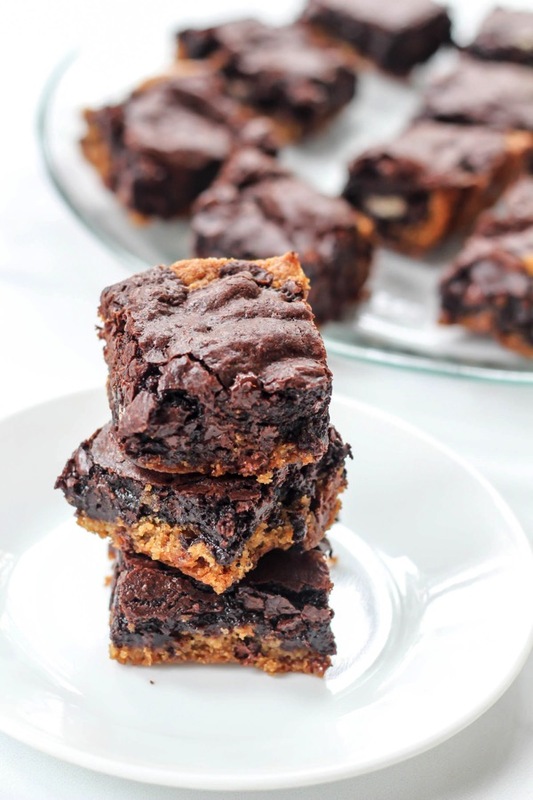 The brownies that you made, weren’t they the ones that Jessica Simpson called “slutty brownies”? I made them once for work and all of a sudden had loads more friends than when I started the day with!!!! 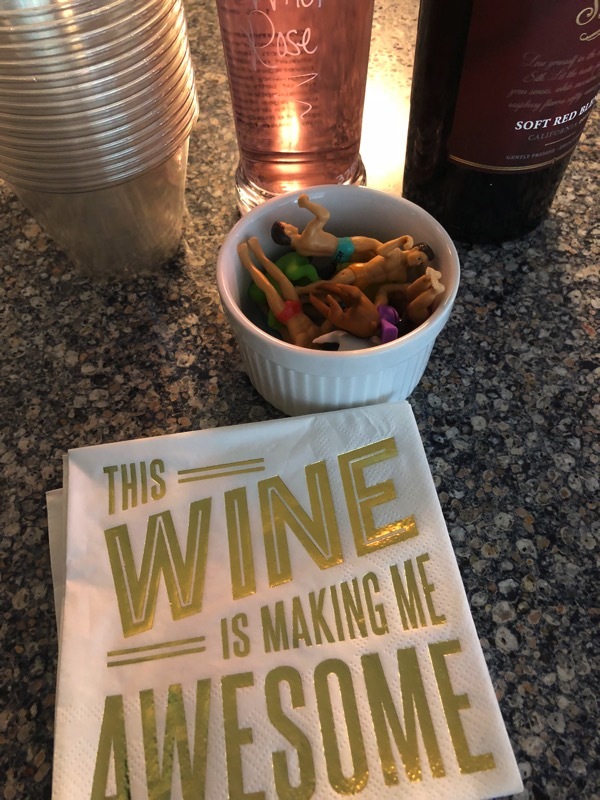 What do you all do at your monthly wives meeting? I would love to hear more about it, how you plan, what’s on the agenda, how you make sure to keep it going? I’m 36 with two kids and I work full time and finding friend time is always SO hard. Can’t wait until I try the dip! Seriously, I want to come to one of your parties! You, of course, are amazing so there’s that – and the food always looks epically fantastic! 🙂 Definitely making the vegan artichoke dip and indulging in some Siete tortilla chips (read eating the whole bag)! wooooowwwww!!!! 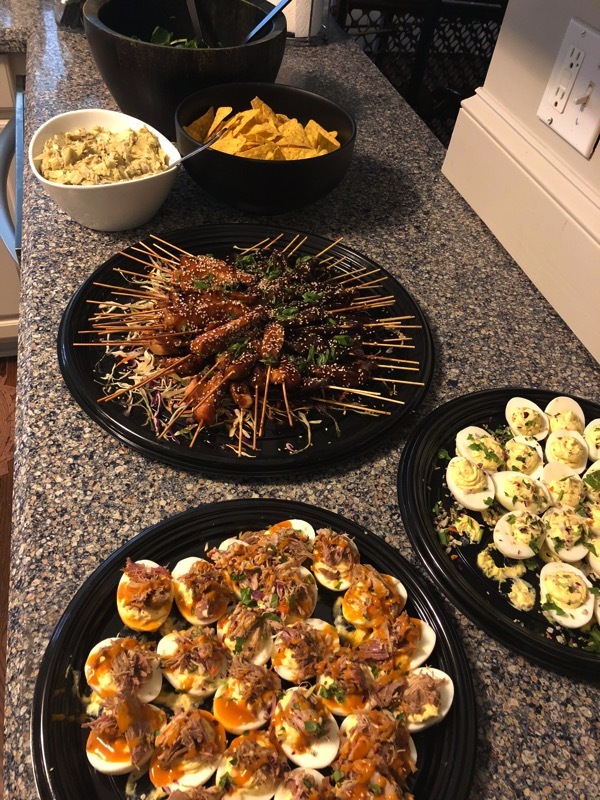 i am obsessed with deviled eggs and that bbq looks good! 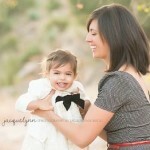 everything looks sooo amazing gina!!! Girl…those BBQ deviled eggs just gave me life!! 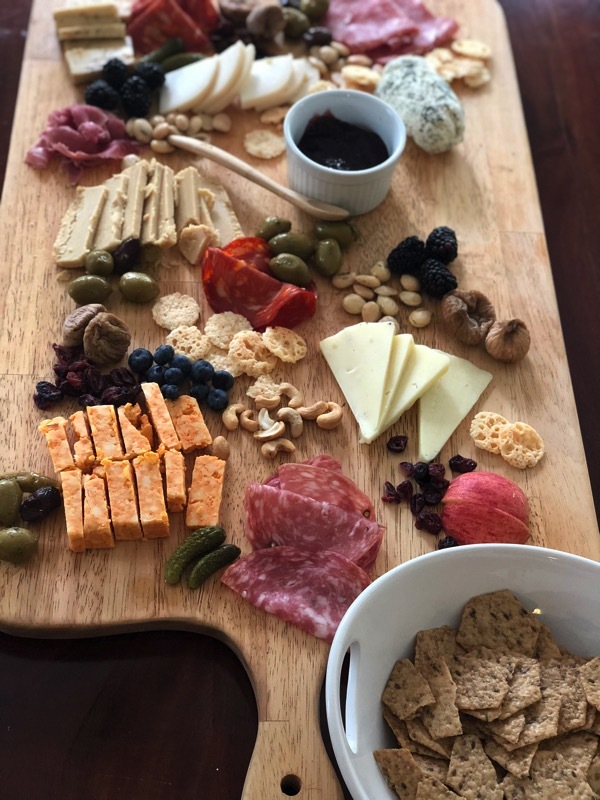 Since you love spicy & cheese…def try the Cabot Habanero Cheddar….so, so good!!! My go to dessert is choc cupcakes with nutella buttercream….for dips…I’m still searching for a homemade option. For now, I love the Greek yogurt spinach dip from TJ’s. This looks so good! I love that you do have monthly get togethers. How do you keep them going? With kids and everything it gets tricky. My friends and I have tried this before and it seems to go bust after the second month or so. I would love to hear more about how you do it! we have them every month, but it’s slightly official because it’s all of the wives from the squadron. i would pick a set day (like the 3rd wednesday of every month) then everyone knows when to plan for it! 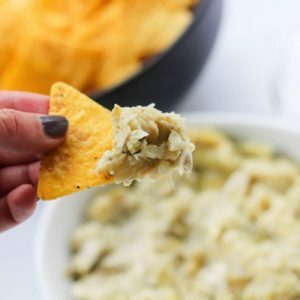 I’m crazy about cheese boards, olives, artichokes and all kinds of savory bites, so this dip sounds like something I would love! I am going to make this for my next book club meeting, I am sure it will be the hit of the meeting!